Traditionally, procurement’s involvement with contracts ended once they were signed. Most procurement departments still store their contracts in paper form and/or on an electronic contracts database but that would be the extent of ‘contract management’, merely record management rather than proactive measurement of a supplier’s performance against the contract. Some procurement professionals I have spoken with do not feel it is their role to manage contracts. But is it because they feel to do it properly they don’t have enough capacity rather than capability? Interestingly some of the best examples I’ve seen of contract management are led by contract teams, dedicated to managing the performance of their suppliers with procurement as a stakeholder rather than the lead. But what happens when one of the contracts procurement has awarded goes wrong? Consider the horsemeat scandal as an example. A supplier fails to meet the quality standards as outlined in the contract. · Who is responsible for fixing that problem with the supplier – procurement, contract leads or stakeholders? · Who will your colleagues i.e. the end users blame for this problem? In many cases where it isn’t defined, procurement will often be tasked with resolving the dispute and all the good work procurement initially achieved with engaging stakeholders and awarding the contract diminishes. This is why, in most cases, I agree with Peter’s point that procurement need to take a more proactive role in contract management. In my next post, I’ll share three reasons defending why procurement should oversee contract management. I am well aware that Procurement are resource and time constrained and therefore can’t run every stage or complete every action in regards to contract management, but I believe the function is well-positioned to lead it in terms of strategy where dedicated teams are not available. You can request to download Peter Smith's paper on building a business case for contract management here. Interesting question indeed. As a former continental european public procurement, I'd would first look after some terminology's clarification ... On the continent, the term "category manager" does not ring any bell in my mind. Building on the US DISA terminology, I'm a "contract owner representative" (COR), where the belgian terminology speaks of a "Fonctionnaire Dirigeant" (Leading Public Servant) and the French sometimes speaks of a "Maïtre d'Ouvrage Délégué" (MOUd). Those terms are phase depending. In my world, the leading organisation is the procurement office. They act as "Contract Manager". Its responsibility starts once the call for bid is published. This matches with the US DISA terminology of "Contract Owner". To make a long story short, I believe that a threefold diagram could help. Interesting question. I know that this is just a good a question on the supplier side (believe me: Sales ditching whatever they've sold on a Delivery Manager...). The answer to your question, I think (and the question itself is a sign to that), is not a choice between the current existing 'roles' / departments: that's just matter of shifting 'the fence' things are being thrown over. What's needed, is what I call 'Contract Governance', the management of commitments from the earliest beginnings right up to the fulfillment or ending of those from an overarching point of view. A view that knows how and when to connect each and every expertise along the sometimes bumpy road a commitment goes. Should this be just another Chief instead of an Indian? Not necessarily, but we'll soon come to the conclusion that today's take on contract management will no longer do for tomorrow's contracts. Or late me rephrase that: today's take on management of contracts is already outdated. Mature organisations will engage both procurement (to haggle price) and Supplier Management + Service Level Management (to haggle function and performance). 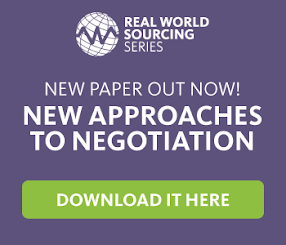 Each party has a unique/complimentary role to play during negotiation. Supplier Management owns the operational management/performance of the Contact in conjunction with Service Level Management. Many thanks for taking time to add your comments. Terminology of the role aside, to manage contracts correctly, I believe an organisation needs to empower individuals with sufficient resource and enabling tools. Who should lead? Well I think Procurement is well positioned to lead as it naturally follows the awarding process. Whether you agree with Procurement leading or not, I hope we all agree that ownership and responsibilities need to be defined to ensure contract management is effective. I'm due to publish the second part shortly so I look forward to receiving any additional feedback.